The Tarsh Partnership - Should marketers be specialists or generalists? Should marketers be specialists or generalists? From influencer marketing to branding, or web design to account-based marketing, there are a bewildering number of specialisms within marketing (one blogger counted 131 different kinds) and the arrival of new technologies is adding new subsets of marketing all the time. This makes it very difficult for marketers entering the sector to know where to focus their attention; is it more important to have a deep knowledge about a specific area of expertise, or all-round experience? Making this decision even harder, is the extremely rapid pace at which marketing is evolving; some specialisms are merging, others are having their boundaries blurred and the expectations of employers are changing. 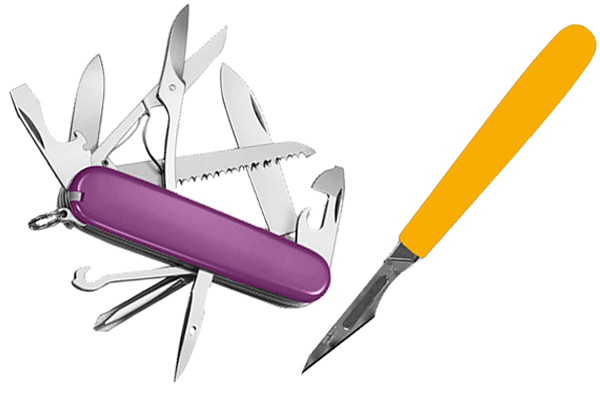 So which option should marketers choose; specialist or generalist? The increasingly rapid evolution of social media and digital technologies has had a profound effect on marketing, changing the job dramatically. As well as widening the pool of potential specialisms, the digital revolution has also made it much easier to be a generalist marketer. 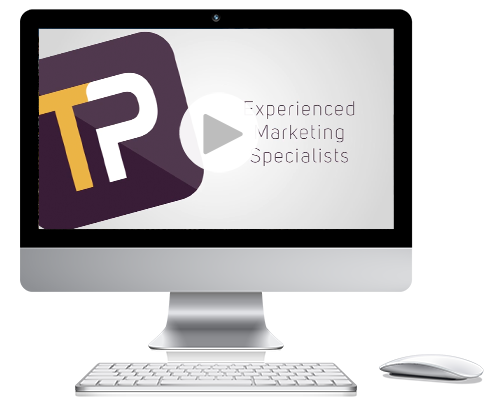 Specialist tools help one marketer to do tasks that used to require a whole team or years of experience, and if you don’t know how to do something, you can always search on Google, Twitter or YouTube for help. The rapid growth of the freelance sector has also made it easier than ever before to outsource specific jobs to specialists. It’s hard to predict exactly where technology will take us in the next 5-10 years as the pace of change is so rapid. Today’s specialist roles could be completely outdated tomorrow. For example, calling yourself a ‘digital’ specialist is already practically redundant, as digital now runs through all aspects of marketing. It’s even possible that artificial intelligence could replace many marketing functions in the future. This would suggest that it’s best to stay as a marketing generalist, and rather than concentrate on developing your expertise in a specific field, focus on building the soft skills which will enable you to adapt quickly to whatever the future brings. The ability to learn quickly, communicate well, think strategically and solve problems logically will be of far more value in the future than years of experience in a field that’s no longer relevant. What’s best for career progression? Many marketers choose to specialise in one particular area at the start of their career, as having a specific USP can help you stand out and progress up the career ladder more rapidly. This is particularly true if you are able to choose a specialism that experiences rapid growth. There is also some evidence that marketers with specialist job titles earn more than marketing generalists. However, as you progress to more senior roles it will become necessary to broaden your skill set at some point, as your focus shifts from tactical objectives to business strategy. Senior roles tend to involve more admin and people management and require a broad understanding of the capabilities of your team and developments in the sector, rather than specific expertise in a single discipline. To a certain extent, the decision whether to pursue a generalist or specialist approach will be dictated by which sector you work in and which employer you choose. Broadly speaking, sectors like FMCG, retail or telecoms, which tend to be made up of large organisations and are very brand-focused, usually prefer to employ specialists in large teams. Other sectors such as finance or software, where many companies are SMEs or start-ups, will prefer marketing generalists who can cover all aspects of the role. Different companies, whatever their size, also take very different approaches to the kind of marketer they employ. For example, some companies like Marks & Spencer are concentrating on building specialist teams to make them more agile and able to take advantage of developing technologies. Others, such as Asda, like to move their marketers around departments to give them a broader range of experience and a good understanding of the company as a whole which will help them when they move up the career ladder. Is becoming a specialist generalist the best option? For marketers who want to be able to give themselves an edge in one particular area but also keep their options open for the future, a possible compromise might be to become a specialist generalist, ie someone who is really good at one thing, but also able to do lots of other things. 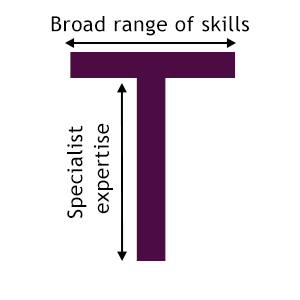 Also known as a having T-shaped skills, this approach could offer the best of both worlds. Marketers choose one particular area to concentrate on developing and ensure they always know more than others about their specialism, but not at the cost of having a broad understanding of other disciplines. This attitude encourages marketers to work collaboratively and see how the different tactics can work together for maximum strategic impact.